Rossford’s vocal music program consists of three different choruses, involving over 125 students in grades 7 – 12. The choirs perform throughout the year in a variety of venues, including Lights Before Christmas, the annual Arts Festival, three concerts hosted in the Rossford auditorium and send participants to Honor Choir and OMEA. The groups look forward to continued growth over the next few year! Mrs. Jessica Witulski joins the staff of Rossford for the first time in the 2017-2018 school year. Prior to her appointment, Mrs. Witulski taught high school vocal music and theater for ten years in New York State. 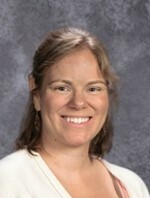 Mrs. Witulski holds both undergraduate and graduate degrees in Music Education from the Crane School of Music at the State University of New York at Potsdam in Potsdam, New York. In her ten years of teaching, she has directed over 20 theatrical productions and founded the Williamson Summer Theater programs for students in grades K-12. Mrs. Witulski currently resides in Bowling Green with her husband and two daughters.